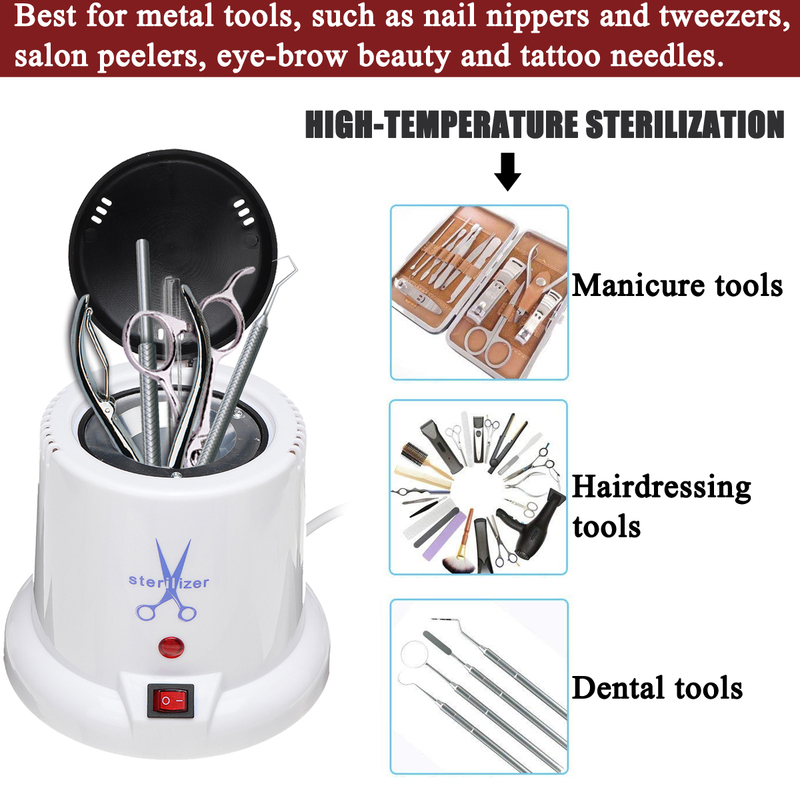 Application: Best for metal tools, such as nail nippers and tweezers, Ddental tools, kitchen small cutters,salon peelers, eye-brow beauty and tattoo needles. 1. Open the lid, pour the disinfection beads into the interior, plug in the power, press “-“, start to work. 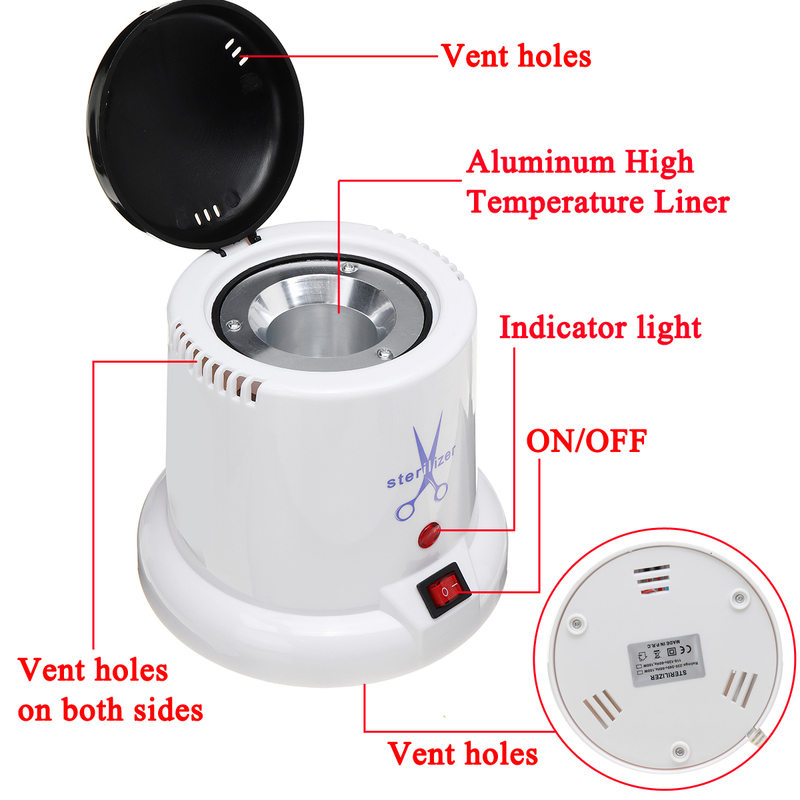 – High temperature aluminum liner material manufacturing, the liner can not be disassembled. Smart thermostat heating, high safety factor. ABS plastic outer, humanized design with nine vent holes on both sides, three vents at the bottom, safer rest assured. Will not hot your hand when you touch the outer. – High temperature disinfection insteads of the traditional hot water disinfection, can kill more than 99.9% of stubborn bacteria and viruses. 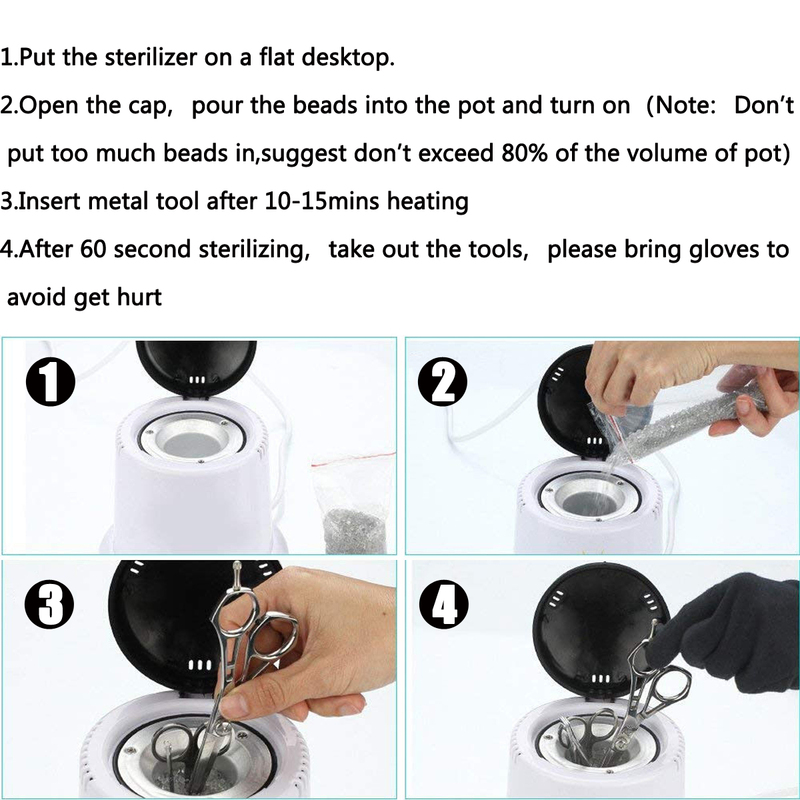 Put the glass beads into the inner pot, the intelligent sterilizer can automatically increase to 150°C when you plug in the power, which keeps the tools clean and sterile. 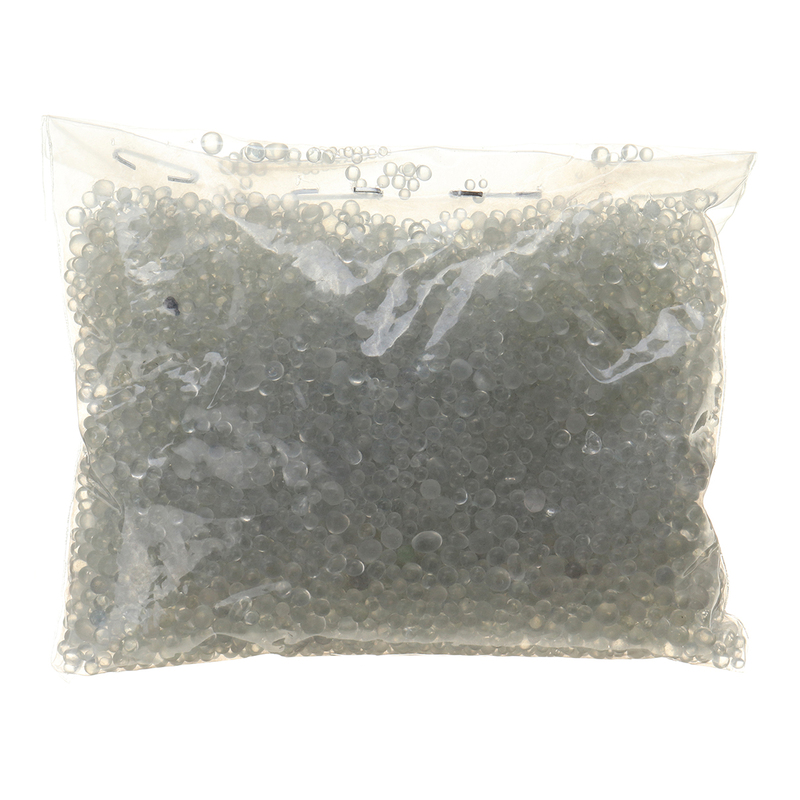 Only the glass beads can be put into the inner pot,Any liquid are not allow to pour into the machine!But if the beads are get black, please purchase new beads, stop using the black beads. – Not Included Other Tools!